What makes the Orthodox Church The Way, The Truth and The Life. The Church is one because it has One Lord, One Savior, One Great High Priest and Intercessor Jesus Christ who is the image of God the Father, who made the Heavens and the Earth, who is the promised Messiah of the Old Testament, who alone trampeled down death by death and rose again, who offers all men salvation through repentance, faithful belief and service in His Kingdom and who will return to Judge the Living and the Dead, who's Kingdom is at hand and will have no end. The Orthodox Church is holy because it is His true body and He is present within it. The Church is Holy because God the Father has sent the Holy Spirit, the Comforter, to indwell the Body of Christ, to fill the Holy Orthodox Church with power from on high, to guide it into all truth and preserve it unconquered forever. Therefore, the faithful members of the one true believing and right worshipping church, laity, clergy, and Hierarchs are true icons of His holiness. Thus, the living presence of the Lord Jesus Christ is truely and mystically present in the transformative reality which are the Church's Holy Sacraments and that these Sacred Mysteries make those dead through sin alive in Christ. The Church is Holy because its martyrs have sanctified it with their blood, witness and sacrifice. The Church is holy because through the prayers of its acetics, monastics, and holy elders it leads all people to salvation through the pratice of Cross-Bearing, self denial, lived and living repentance, and the aquisition of the Holy Spirit leading to Theosis, bearing witness that God became man that men might become a true partakers of the Divine Nature becoming through grace what Christ was by nature. The Orthodox Church is catholic because it is complete and whole in itself, lacking nothing, that it preserves, defends, and proclaims the unchanging faith of the Holy Apostles as delivered to it by Jesus Christ himself, neither adding anything or taking anything away from the Faith "Once delivered to the Saints." The Orthodox Church is catholic beause it stands fast and holds the traditions which were taught, whether by spoken word in Holy Tradition or written in Holy Scripture. The Orthodox Church is catholic because it originally recieved and still possesses the fullness of the written revelation of God in its Holy Scriptures, which it interprets though the wisdom of the Church Fathers and proclaims the Good News of the Holy Gospel in order to make disciples of all nations. The Church is Apostolic because it was founded by Jesus Christ himself through his Great Commission of Holy Apostles, that the authority and power of the apostolic office is conferred on their successors through the laying on of hands in consecration, ordination, and holy orders and that every Orthodox Church lives in unbroken continuity with the Holy Apostles through the Apostolic Succession of its Hierarchs from its foundation to the present, living generation. The Church is apostolic because through the priesthood of every believer, it has been sent into the world to make discples, to proclaim the Good News of the Gospel, and to intercede on behalf of all and for all. America doesn't have a political problem. America has a sin problem. "Remember, democracy never lasts long. It soon wastes, exhausts, and murders itself. There never was a democracy yet that did not commit suicide...We have no government armed with power capable of contending with human passions unbridled by morality and religion. Avarice, ambition, revenge, would break the strongest cords of our Constitution as a whale goes through a net. Our Constitution was made only for a moral and religious people. It is wholly inadequate to the government of any other." John Adams second president of the United States of America. 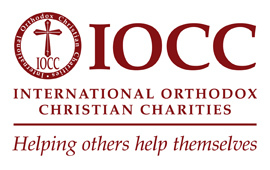 Holy Cross is an Orthodox Christian missionary church. Our mission is to invite all people to join us in the authentic life of the Kingdom of Heaven. We confess Jesus Christ, our Lord and Savior, to be life itself, Emanuel-God With Us and the true believing-right worshiping Church to be His Living Body. We proclaim the teachings of Holy Scripture and the unchanging Christian witness of the Early Church Fathers. Taught by this great cloud of witnesses, we glorify the Incarnation of the Eternal Son of God by the Holy Spirit and the Most holy Mother of God: The Theotokos. We invite all to share our joy. Join us in the Kingdom this Sunday! What does it mean to be a real person? We all need love. We all need each other. Are you a Bee or a Fly? Bees are attracted to things that are sweet, pure and good. Flies are attracted to foul, rotten, things and death. This is the primary catechism used in our Inquirers Series. Please download to your tablet of other device. Please download to a tablet or print for your student. Grow in Christ. Renew your minds. Never stop learning. Check weekly for new lessons and assigments! Check weekly for new lessons and materials! Young people are busy people. The way to be alive in Christ is to make Christ the center of your daily life. Here is some help. Please Download to your Device or Tablet. 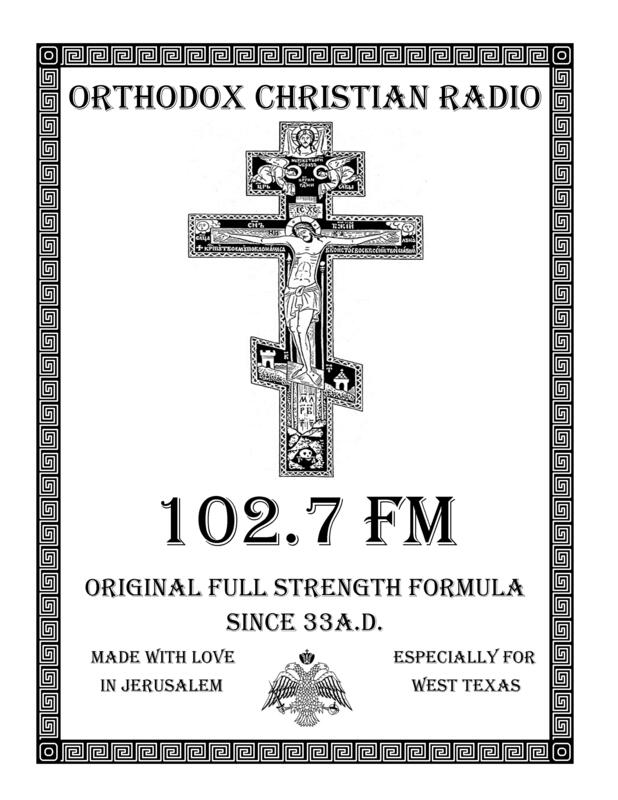 Welcome to Holy Cross Orthodox Chrisitian Church In Midland Texas. Please see our Service Schedule below. We are a diverse parish with families from the local community and from accross the Orthodox Christian world. Join us in worship this Sunday. See our Radio Station Section Below! Do you live outside the Midland/Odessa area? We are here to serve you. You are not alone, please feel free to Contact Fr. Mark Telschow at 432-741-1040 or fmtelschow@gmail.com. 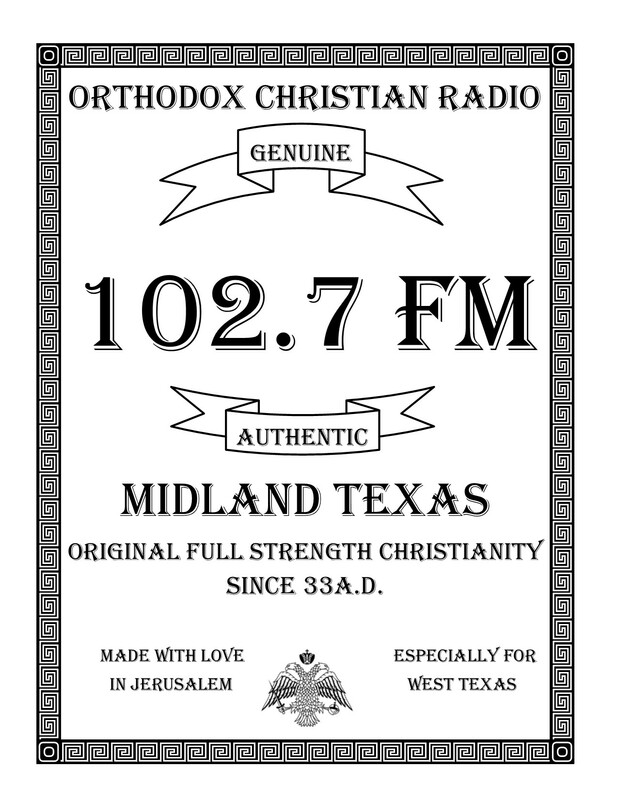 In partnership with Ancient Faith Radio, Orthodox Christian teaching, podcasts, daily prayers and weekly worship services as well as beautiful Orthodox Christian music are now available to everyone in Midland, Texas 24/7. Please pray for the success of our station and consider making a pledge of support today.